The Falling Springs, Letort, Yellow Breeches, Big Springs are just a few of the many famous trout streams South Central, Pennsylvania has to offer. Toss in the numerous wild brook trout and stocked trout streams the area has and you have miles upon miles of trout streams within minutes of each other. 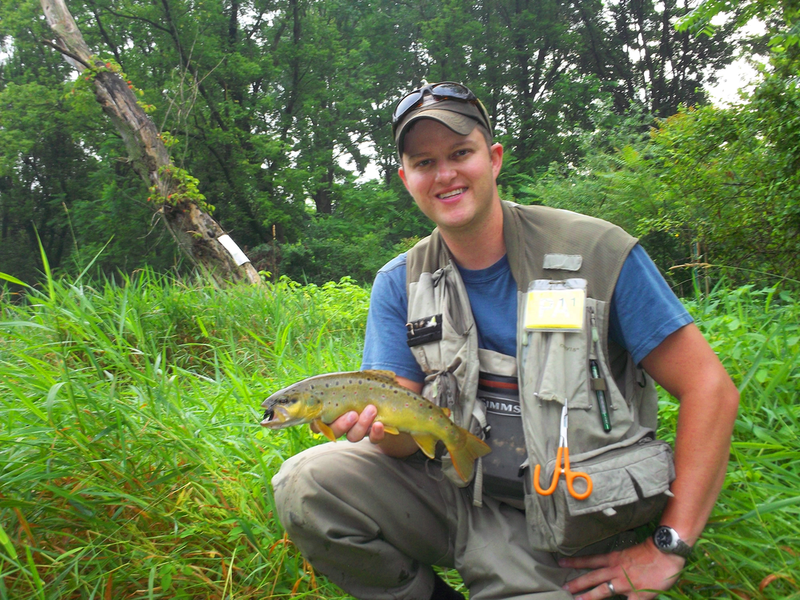 Welcome to the TFO Endorsed Mike Heck’s Trout Guides. I’m Mike Heck the owner. I’ve been fly fishing for more than thirty-four years, and I’ve been a professional guide/instructor for over eighteen years I'm certified by the American Red Cross in CPR and first aid. You may have read some of my articles in Fly Fisherman Magazine, American Angler, Fish & Fly and Mid–Atlantic Fly Fishing Guide. I'm the author of "Spring Creek Strategies". I have also been featured in the show called "Road Trip" which is on the Discovery Channel, Europe. I'm also a pro staff member for Regal vises, and pro member of Performance Flies. In here you will find all sorts of useful information. If you are planning a trip to South Central Pennsylvania, you can find up-to-date stream reports for the Falling Springs, LeTort and Yellow Breeches and other lesser known streams. 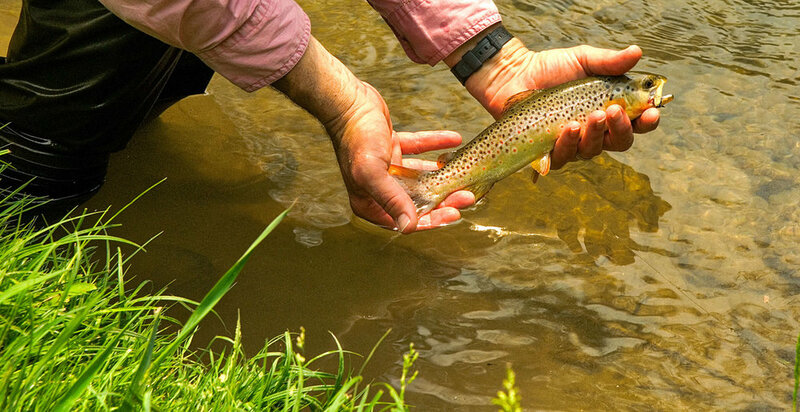 If new to fly fishing I offer beginner classes with equipment provided by Orvis that will put you on the right track, or maybe you need to learn where to find the wary trout that are found in our spring creeks. For this, I offer year round guiding on the Falling Springs, LeTort and Yellow Breeches as well as some other excellent South Central PA streams and will show you how and where to find these trout and techniques and flies used to catch these wild trout. Come late spring, you can join me and fly fish many other area streams that offer the best native brook and wild brown trout fishing there is to offer. Many of these streams are hidden in the beautiful Appalachian Mountain range so don't forget the camera! I also offer destination trips to the Juniata River where we will fish the Catch and Release All Tackle Trout Water. The Juniata is one of my favorite streams when I can get away for a day! Or join me on Spring Creek a fine Central, PA no-kill trout stream. Spring Creek is best known for "Fisherman' Paradise" the public no-wading access along the hatchery, but has some great water outside this section of stream. I offer flies for trout, salmon and steelhead through mail order. All flies are individually packaged in plastic canisters and labeled. All orders are sent UPS or USPS, and there is no shipping or handling charges. So, browse around, I hope you find what you need.